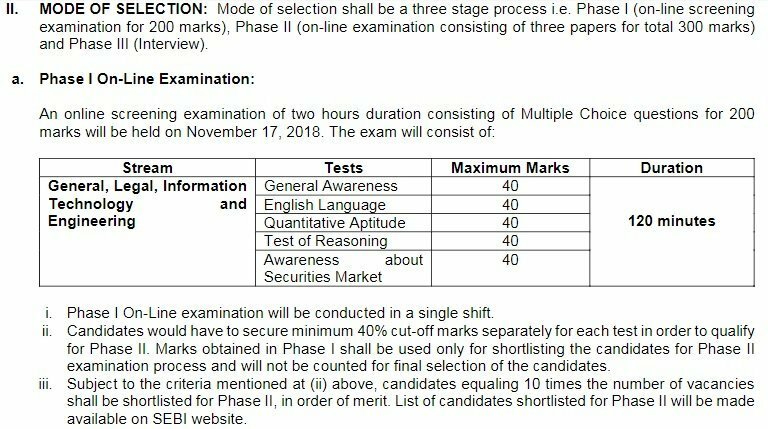 Securities and Exchange Board of India SEBI is inviting online applications from eligible candidates for the post of Grade A Officers Assistant Manager in – General, Legal, Information Technology, Official Language and Research Stream. Salary &Benefits : The incumbent will be on a scale of pay of Officer Grade A in the scale of Rs. 28150-1550(4)-34350- 1750(7)-46600-EB-1750(4)-53600-2000(1)-55600 (17 years). Presently, the gross emolument including Board Contribution towards National Pension Scheme (NPS), Grade Allowance, Special Allowance, Dearness Allowance, Family Allowance, Local Allowance etc. at Mumbai at the minimum of this scale is approx. Rs. 92,000/- p.m. without accommodation and Rs. 62,000/- p.m. with accommodation. A candidate must not have exceeded the age of 30 years as on August 31, 2018 i.e., candidate must have been born on or after September 01, 1988.
c. Interview: Only the shortlisted candidates will be called for interview. Candidate may opt for interview either in Hindi or English. 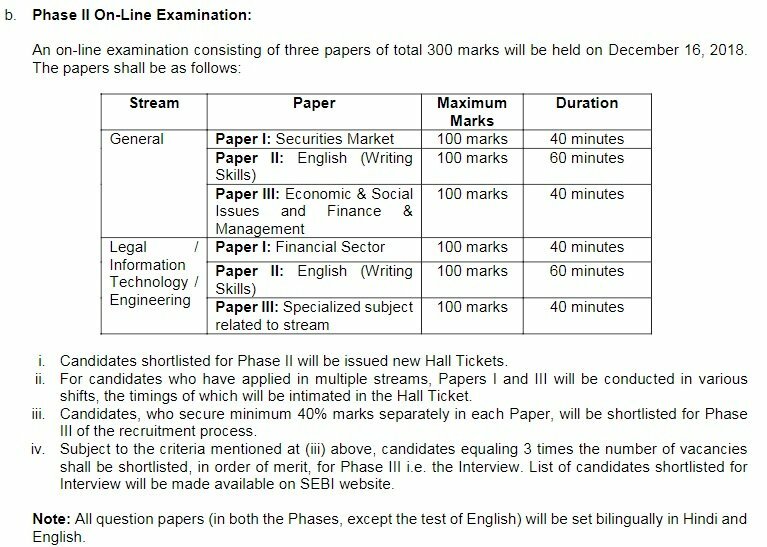 Weightage of marks obtained in Phase II will be 85%, while marks obtained in interview shall be given a weightage of 15%.